New for 2014! Our new hop on/ hop off route can be picked up at any one of 9 attractions in the city. We pass Arthur's Quay Tourist Office once every 45 minutes. 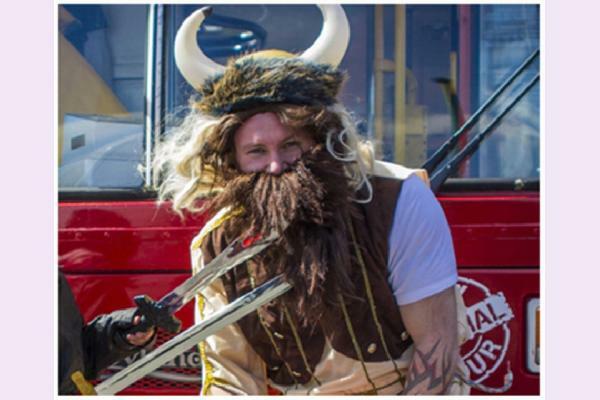 Enjoy the informative commentary with your friendly driver guide as we show you our city dating back to the arrival of the Vikings in 812. Let us entertain you with the wealth of history and folklore that our lovely city has to offer while you capture the panoramic views. 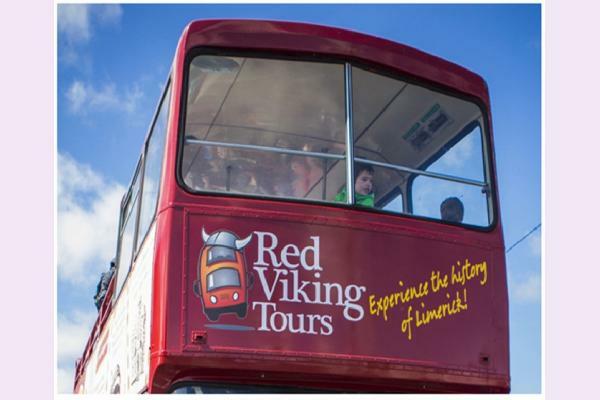 This is a fun and informative tour which takes approximately 90 minutes and we look forward to welcoming you aboard. Rail Station, Upr Mallow St. 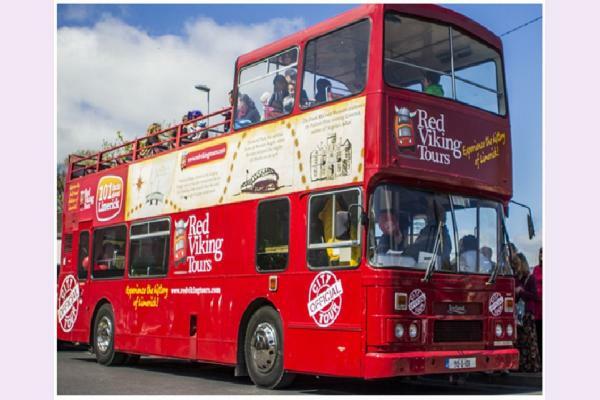 The Red Viking Open Top Doubl Decker Bus is available for private customized tours of Limerick !